Hey, y’all! 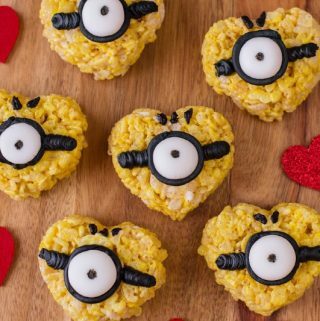 It’s almost V-Day and I found some love-struck Minions. So they’ve curled-up into heart-shapes and are looking cuter than ever. 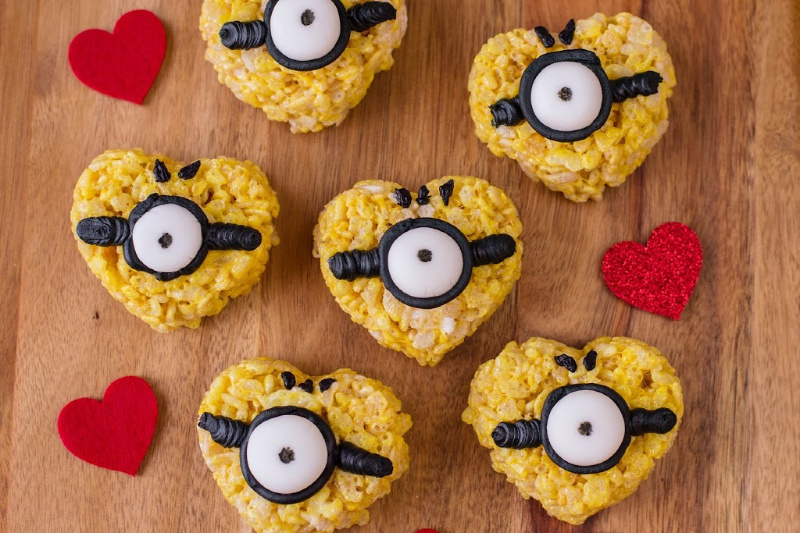 My Minions-Inspired Valentine Cereal Treats are a dessert that’ll surely impress your guests. I love how yellow they came out. They are perfect for this year’s Valentine festivities. 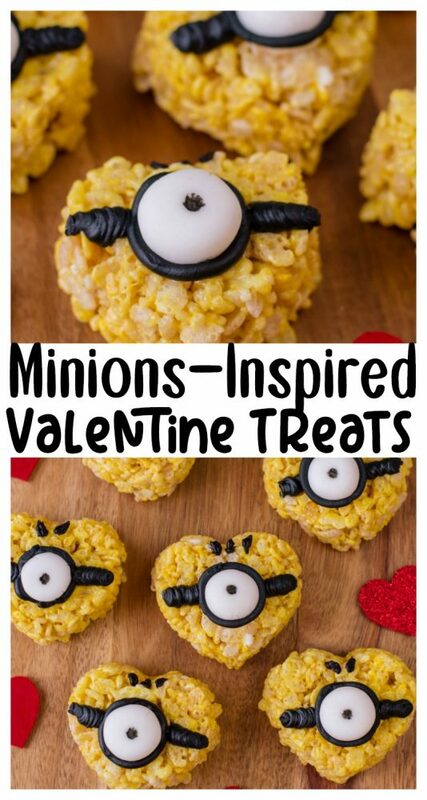 My silicone heart-shaped pan really helped form my Minions-Inspired Valentine Treats. Because it is made of silicone, the cereal treats were easy to pop out and decorate. 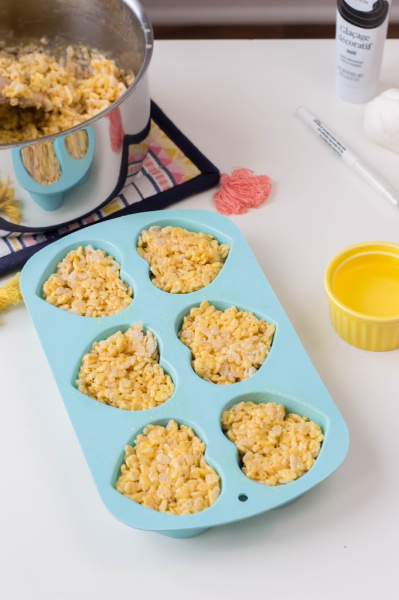 Do you like making rice cereal treats? They are always a hit here in our household. Tell me what your plans are for February 14th – comment below! 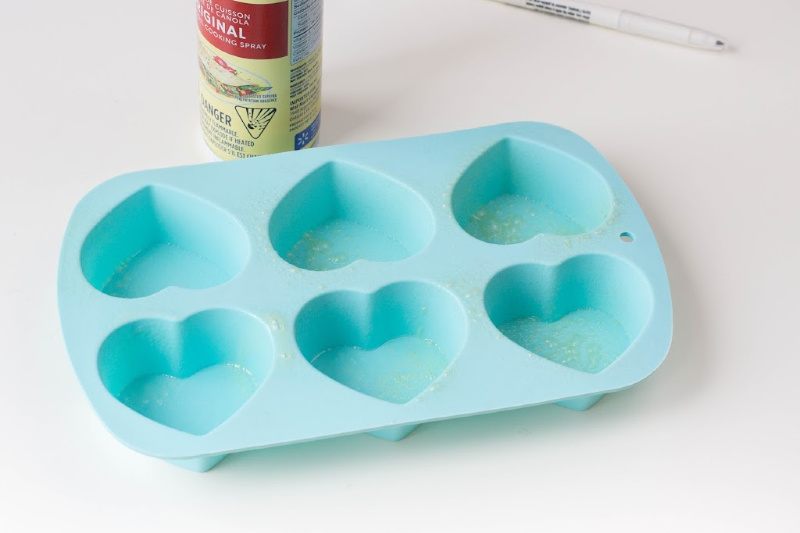 Spray your heart-pan with cooking spray and set aside. In a medium-sized saucepan, melt butter over medium heat. Once it is melted, add marshmallows. Mix until marshmallow mixture is completely tinted. 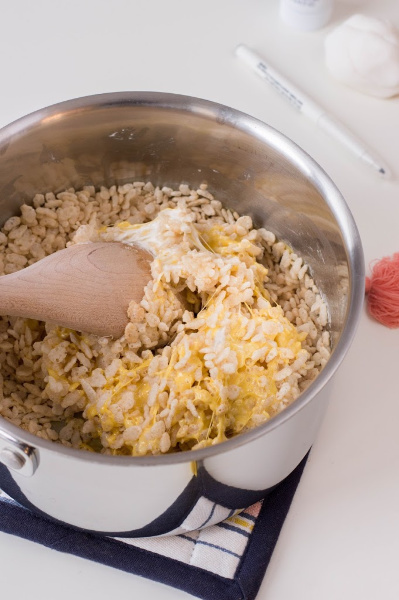 Remove the saucepan from heat and add rice cereal. 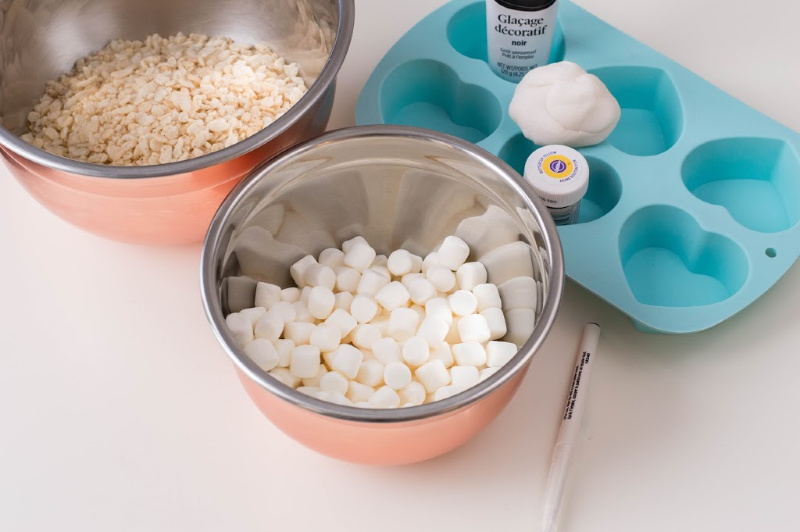 Fold until cereal is completely coated with marshmallows. 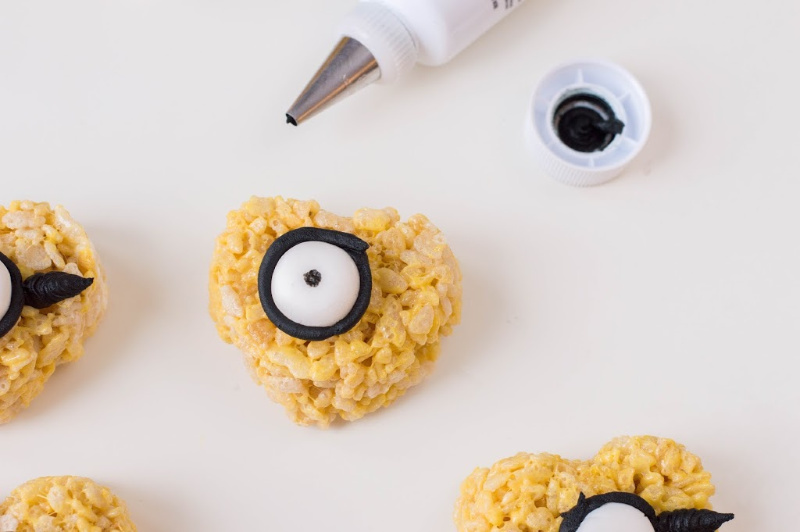 With your edible black marker, draw one pupil in the center of each fondant eye. Remove your cereal treats from the heart-shaped pan. Place one eye in the center (usually, the rice cereal treats are sticky enough to hold it, but you can add some decorating frosting on the back of the eye to secure it further). Using Wilton tip #8 , frost each cereal treat with black decorating frosting. Make a contour around each eye and then add lines on each side (these act like their goggles). 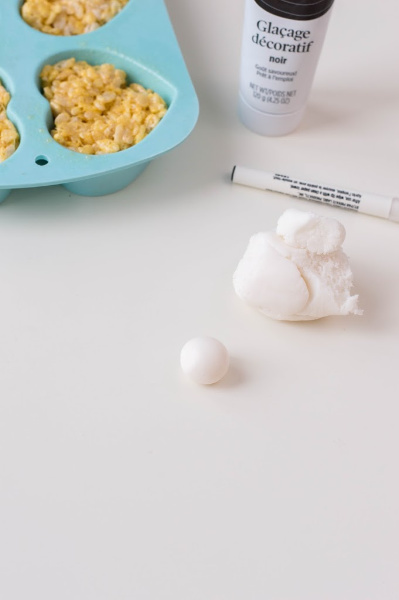 Change the frosting tip to Wilton tip #5 and give your cereal treats some “hair” on the top. Serve and enjoy! Using Wilton tip #8, frost each cereal treat with black decorating frosting. Make a contour around each eye and then add lines on each side (these act like their goggles).